Hope you all had a wonderful and blessed Easter...I know I sure did! Today I am back to Thank-you Cards. My DH and I recently attended an event/function with his place of employment and through the gracious and kind effort of California Limousines we and the rest of the group arrived in style and comfort! We are most grateful to him and his company for all they have done for us! I figured, what better way to express our thanks and make it personal than a home-made card! I was actually planning on using a Cricut Cartridge to make a limousine, but sadly discovered that out of the almost 100 cartridges that I have...not one of them had a limo on it! Cricut makes at least one that has a limousine on it (Formal Occasion I think? )...but of course that just happened to be one of the one's I didn't have! Anyway...I used a rubber stamp instead and I wasn't thrilled at how it turned out, but at least it was representative of the company's service. Looking back, I think I should have embossed it and the limo would have looked better, but I'm learning as I go, so next time I will think of that (hopefully!) LOL! I started with a blank white card (4" x 5.5") from Recollections. I could have cut the card myself out of cardstock of course, but if you catch these pre-cut & folded card sets on sale they are a great deal and make the process much faster! I cut a strip of printed cardstock (striped) from the Recollections Elegance Pack and placed it across the front of the card. I forgot what size I cut it at because I was just eye-balling it to see what would look good, but I think it was between 1-1/2" to 2" wide and went the length of the card. I used the Calligraphy Cart to cut the 3" shape on the front (not sure what this shape is called) using printed cardstock from Recollections (Elegance, Stripes), and had a pre-cut 2-3/4" gold/yellow square from my stash that I put behind the ornamental shape. After gluing both of those shapes down, I stamped the inside of the square with a Thank-you stamp. I think it would have looked better embossed also...but alas, I didn't think about that until AFTER I had stamped it and I was afraid to try and line-it up and "re-stamp" it with embossing ink...for fear of ruining my progress at that point. For the California Limousine Logo I went to their website and saved the jpg file of the logo and then put it into Microsoft Word and sized it down to the size I wanted (I actually copied it several times in word and made it different sizes so I could play around with it on the card to see what would look best). After printing the file on my Lexmark Ink Jet Printer, I carefully cut out the logo using my Tim Holtz scissors (I LOVE them! )...They work great on small stuff like this. I wanted to add just a touch of bling, but not too much, since the card was going to a man, so I added some Stickles Platinum around the square and some Darice self-stick gems to the right/middle of the card. For the most part I was satisfied with the outcome. I really like the the colors together and they seemed to be subdued just enough for a man, but still show some elegance. Recollection Blank White Card, 4" x 5.5"
Hope you like this project, and if you want to please leave me a comment on what you think or what you feel I could have added to it or taken away from it to make it better. I'm always up for learning...this is all still a bit new to me any any advice or encouragement is most welcome! 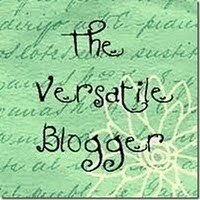 I'm pretty excited...I am entering my first blog CHALLENGE! I have been really afraid to try a challenge, because I just don't have a lot of confidence in my crafting abilities yet, but I figured I should just "go for it"! Crafting is art after all...and I should just be creative how ever it best suits me and not worry about my project being "perfect". This challenge is hosted by none other than the very talented Jenny at Crazy About Cricut and is in honor of her Birthday, which was April 4th! She also celebrated her 2nd Blog-a-versary on April 16th! So, if you get a chance go and check out her fab blog and wish her a belated happy b-day & happy blog-a-versary! The challenge is to Create a project about something you love (It can be your love for crafting, for the outdoors, or for someone you love, anything), or a birthday themed project. I chose to create a layout about something I love...VERY MUCH, and that is my precious new blessing from God, my Granddaughter C! Zots 3-D Glue Dots, 1/2"
Glue Dots Roll, Clear Lines, 1"
Recollections Foam Adhesive Mini Circles, 1/4"
Hope you'll like my layout...Isn't it great that I made something BESIDES a Thank-you card??!! LOL! Please let me know what you think, just leave a comment below. Well, I truly feel honored! 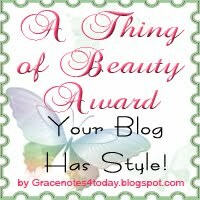 I have received my 3rd Blog award and again have received it from a very talented crafter & blogger! Her name is Deb and you should hop on over and check out her blog, @ http://www.scrappingmamma.net it is so cute and full of wonderful projects & inspiration! I've been so blessed to meet so many wonderful people in the craft blogging world the last few months and Deb is one of those! 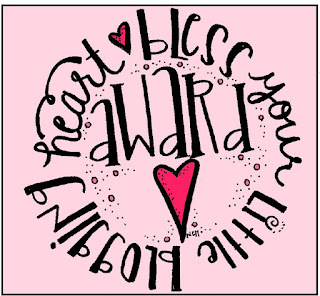 Thank-you so much for the award Deb! 1.) I love crafting because it gives me a sense of accomplishment and pride and it just makes me HAPPY! 2.) I am a Christian and even though I don't go to Church as much as I should, I am grateful everyday that I know Jesus Christ as my Lord & Savior! 3.) I have 4 precious Grandchildren and another one on the way any day now! 4.) Me & Hubby dated for 10 years before we got Married! 5.) I love watching all the fashion shows like Project Runway & America's Next Top Model, even though I personally am just a "jeans & t-shirt" kinda girl! These talented ladies have given me so much inspiration...a heartfelt thanks to all of them! The Original Scrapbox is hosting a HUGE Giveaway! 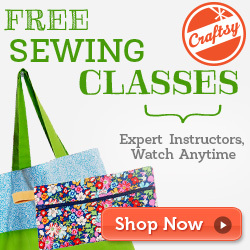 The Original Scrapbox is hosting a huge giveaway to celebrate the creation of their newest product--The Sewing Box! Click Here or on the Giveaway Photo above for more details on how to enter. This is a beautiful item that every crafter will want, so be sure to enter soon! Super Giveaway - Epic Letterpress - Don't Miss it! Check out this giveaway, you won't be sorry! It is sponsored by Lifestyle Crafts & Positively Splendid. This machine is so awesome! If you want to see some examples of what it can do, check out Amy's site: HERE and for all the awesome accessories check out LifeStyle Crafts site: HERE. Hurry, the giveaway ends at 11:59 p.m. on Sunday, April 17. The winner will be announced on the blog on Monday, April 18. I can't believe it...I received another Blog Award! And I received it from someone whom I highly respect in the Crafting/Art World...the very sweet and talented Nikki from MelonHeadz Illustrating! You have to hop over and check-out her blog...it is just awesome and she has such a giving heart, she offers almost all of her fabulous digi's for free! If you check out her digi's and love them as much as I do, please show some love and use her "tip" jar to show her how much you appreciate her work! Thank-you for the award Nikki and thanks for all you do! Gift Bag for Baby C! Hello there, I am finally back with a project...sorry it has been awhile, I'm still a bit slow at creating! To celebrate the arrival of our precious Granddaughter C, we had a welcome dinner for family & friends last week. I had previously ordered a cute little photo book from Shutterfly showcasing C's birth and her first time meeting her family and luckily it had arrived the day before the dinner celebration. I was pretty happy on how it turned out, even though it was fairly simple...I just love the new Baby Steps Cricut Cartridge, and that is what I used for the baby on this bag. Cricut Cartridge: Baby Steps (p. 24) - Moon Baby, 3"
Cricut Cartridge: Kate's ABC's (p.29) - "Sweet", 1-1/2"
Moon Baby was cut out at 3" and all pieces were inked on the edges for depth, with the exception of the face & hands, because I made the mistake of gluing the layers before I inked and I didn't want to mess up the face, so I just left the ink off of that area. Instead of using the die cut cheeks, I used the Shadow Pink (#RV32) Copic Marker to fill in the baby's rosy cheeks. The word "Sweet" was cut at 1-1/2" from the Kate's ABC's cartridge using glittered cardstock from my DCWV Mariposa stack. To give the die-cut a bit of dimension I used pop dots (Recollections Foam Adhesive Mini Circles) to raise it up slightly. All finished and ready to wrap up for the dinner party! She was very excited about the book more than the bag...which is of course to be expected and fine by GiGi (Grandma!). She did tell me though...that she thought the baby on the bag was so cute! Her Mommy (K) liked it too and they both posed for this pretty picture for me. Okay, so I know I'm getting a bit off the "crafty" track here...but I just have to show you this precious picture of my awesome Husband with his new GrandGirl Princess! Brings tears of happiness to my eyes! Hope you all enjoyed my project and will come by again soon! Leave a comment if you'd like...I'd love hearing from you! Wow! I'm excited to announce that I have received my first Blog Award! 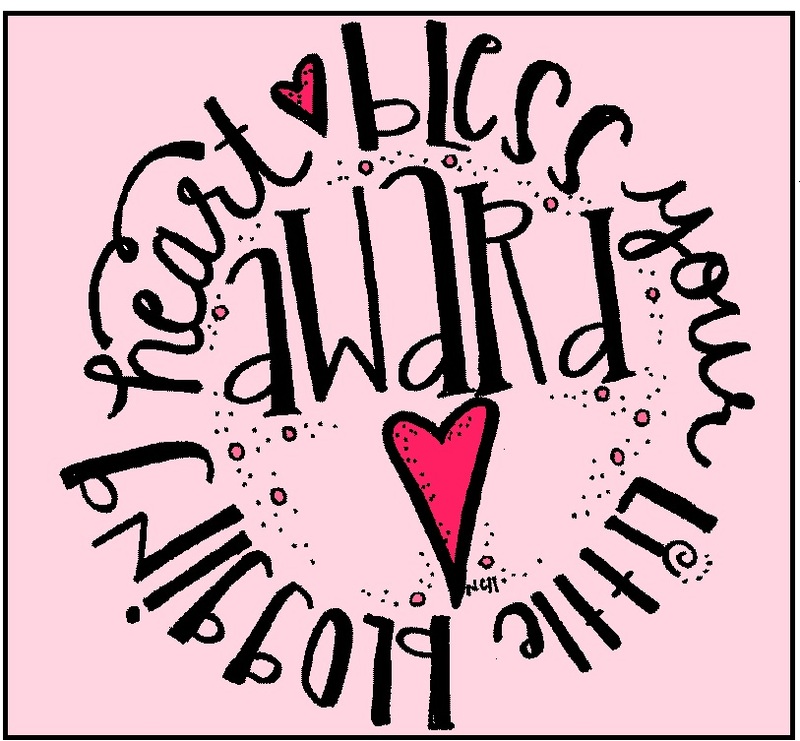 I would like to thank Tiffany from Sparkled Memories for giving me this award. 1. Like Tiffany, I am a perfectionist when it comes to Arts & Crafts and I'm sometimes very hard on myself and take forever to finish a project! 2. I have the most amazing Husband who makes me feel like a Princess Everyday! 4. I was a Aerospace Ground Equipment (AGE) Mechanic in the Air Force & Civil Service for 17 years. Now I am going to hop on over to these awesome blogs and let them know about their award! Be sure and visit them also if you get a chance, there is some great stories, love and inspiration to be shared. Also, stop by and visit Tiffany, she has a very cute blog with some beautiful cards! I hope to have a new project up soon. Sorry it has been a few days...my lovely "NEW" computer (bought it in February) decided to go schitzo on me and I spent hours on the phone with Dell trying to fix it. Finally had to just reinstall Windows 7...(yikes) and reinstall all of my software and files...it was quite the nightmare! Still not 100% but I'm getting there. Thanks for stopping by...leave a comment if you feel like it...I LOVE comments! Well, I am still in the process of making Thank-you cards for all the great blog candy I won last month! It was a lucky month for me! I made these to Thank the two persons/bloggers responsible for my win: The Scrapbooking Society and Kathy's Cozie's. I am just in love with it...it makes my craft area (which is my kitchen table by the way...lol!) look so much prettier and it protects my favorite toy from dust. Kathy hand sews/quilts these and they are such fine quality! She has an Etsy store and you have to check it out, she sells other cozies for things like iPads, Kindle's, Cuttlebugs and she also has cozies that fit the Cricut Personal Cutter, the Imagine and the Gypsy! Scrapbooking Society had a giveaway going on that was sponsored by Kathy and I was the lucky winner! Another interesting tidbit is...the background of the SC website is a blue and brown damask pattern and Kathy made the cozy to match! So, I decided to make my "Thank-You" cards match also. I took a close-up picture of the cozy design on the material and then I printed it out on an 8x10 piece of white cardstock and used it to cut the shaped cards on my Cricut Expression using the Wild Card Cartridge. On the larger card, I cut the word "Thanks" out using the Lyrical Letters Cartridge and the oval backing from the Wild Card Cartridge. I embossed "Thanks" to add a little shine to the card. I inked the edges of the oval with some chocolate brown pigment ink to give it some dimension and I placed the oval on the front of the card with a pop-dot to give it depth. I felt like the holes in the scallop shaped seemed lifeless, so I added the blue ribbon, though I wasn't sure I liked the way it laid naturally, so I glued it down and hand-tied a bow at the top. For the smaller card I cut the scalloped shaped card from light blue card stock and lightly inked the edges and open areas of the scallop with Tim Holtz Distress Ink (Broken China). I glued a smaller scallop cut from the damask pattern on top of the card. The sentiment was stamped on a small piece of coordinating card stock using the chocolate brown pigment ink and adhered to the card with a pop dot for dimension. I added a bow on this card also, though I did not hand-tie this one, as it was very small. I used a fork to form and tie the bow! I did not come up with this on my own...of course I googled it and found several videos on how to do it. Click here to see one of those videos. I later found out that you can purchase a small template/tool to do this also, I found it at Really Reasonable Ribbon and you can check it out here. The fork worked great though...so if you don't mind having household cutlery in your crafting kit, then it will work fine! I experimented a lot with the sizes on these, so I'm sorry, I don't remember exactly what sizes I ended up cutting, but the final cards ended up being: a little over 4" wide and 3" wide. I did alright, but I scored the bigger envelope a little too hard and had to tape a small area of it. One warning about the envelopes though...(and I should have known this, but I found out the hard way! )...the U.S. Post Office will not be pleased if you try to mail these out in strange size envelopes. The larger card was sent back to me with postage due (I put a 44 cent stamp on it). At first I couldn't figure it out, cuz I knew it didn't weigh too much, but it was an "odd" size, so evidently they don't like that and will charge you more! I was smart enough to put the small card in a bigger outer envelope, because I was afraid it would get very lost in the sea of mail and I was pretty sure the USPS wouldn't like it's itty bitty size! Zots Thermo-Web 3-D Clear Adhesive Dots, 1/2"
Offray Spool o' Ribbon, Lt. Baby Blue, 1/8"
Offray Spool o' Ribbon, Teal Blue/Green, 1/4"
Thanks for stopping by and if you feel like it...leave a comment, I'd love to hear from you! Hey There fellow crafting buddies! I have a new video for you showcasing some of the goodies I recently received from my online purchase at Inkadinkado (EK Success Brands). Please accept my apologies again for the overall quality of the video, I am still trying to hone my skills at this and for some reason I can't always get the webcam to focus properly. I'm pretty sure it's operator error, but hopefully with time and a lot of trial & effort I will eventually get this down to a science! Thanks for visiting me and come back soon...I should have another card up soon and I'm hoping to complete some layouts to show you also.